It’s hard to believe that it’s already time to discuss February Pinterest trends! One of the most important things to remember about creating content for Pinterest that centers on specific events is that you need to start pinning about 45 days before the event (they have said this in their creative guide). You need to keep in mind that people are looking at pins for holiday ideas weeks and months before the actual day. 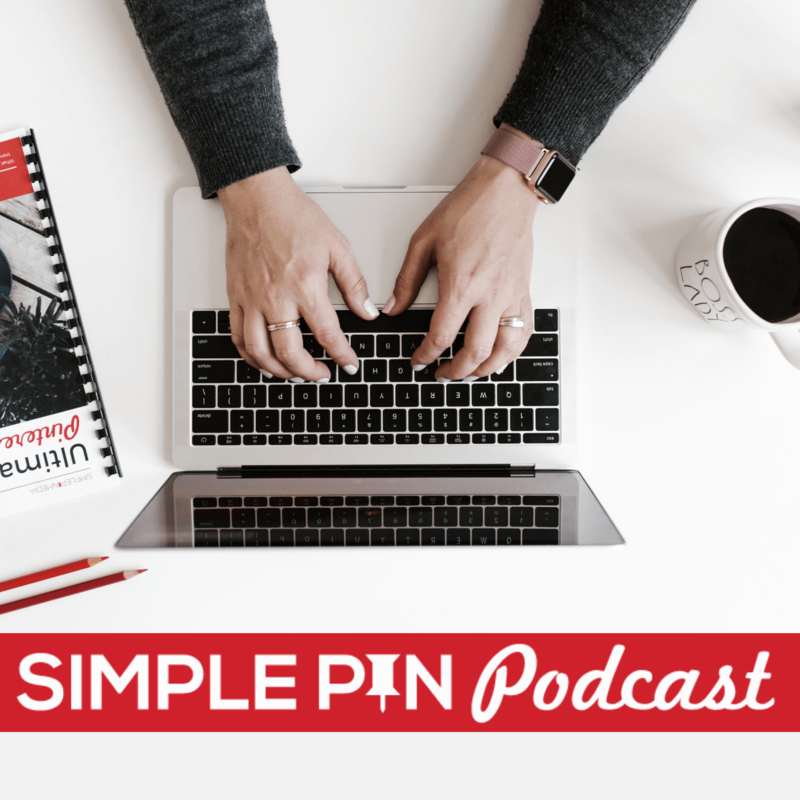 So when you think about marketing on Pinterest, you need to be thinking about what holidays are upcoming and when you’ll need to start pinning related content in order to get those pins out into the smart feed and searches. When it comes to Pinterest marketing, you always need to be thinking ahead. Spring Break – After enduring harsh winters these past few months, spring break is something all of us North American dwellers we can all get on board with. Who doesn’t love a good road trip as the weather warms up? Spring break takes place around the end of March to the beginning of April for most people in the US. People will be searching for all sorts of travel-related tips — packing essentials, road trip games, snack ideas, airline travel, what books are best to read on the beach, swimsuits and summer fashions, and even the best shoes for walking. There are tons of ways you can go deep on the spring break theme. Do what you can to really give people the tips they need to gear up for an amazing break. St. Patrick’s Day – Do the Irish even celebrate St. Patrick’s Day? Well, we sure do here in North America. People will be on the hunt for all things green, St. Patrick’s Day parties, crafts for kids, and leprechauns. Comfort Food – Who doesn’t love some delicious, warm comfort food? A lot of people are trying to stick to those New Year’s Resolutions and will want healthier options to warm them up during the last of the winter months. Slow cooker and Instant Pot options are hugely popular, especially Whole30 or other healthy style meals. Spring Fashion – A lot of people are in very cold climates and are just longing for the warmth of spring. It always surprises me when I go to Target in the middle of January and they already have their swimsuits out. Who needs a swimsuit in the freezing cold? Well, the people who are going on vacations to those warmer climates. If no one puts out the swimsuits, those people would be out of luck until May. So, go ahead and post about those shorts and flip-flops because someone somewhere may be headed to Hawaii or Mexico for spring break. Spring Cleaning – January puts people in the organizational frame of mind. Cleaning homes, sorting through papers and managing files are all top-of-mind (even cleaning up Pinterest boards is a popular topic on Pinterest). These tips can apply to email accounts or social media too! So even if you don’t want to target people who are thinking about organizing their kitchen cabinets, think outside the box and find ways to reach those people who are looking to clean up their social media accounts if that happens to be your niche. Taxes – Ah…taxes, taxes, taxes. The US tax filing season spans from the beginning of February to mid-April. There are actually A LOT of tax-related questions that you can address. What’s the difference between having someone prepare your taxes or doing it yourself? How do you plan ahead when doing your taxes? What are the best sites to use to file your own taxes? You don’t have to be a tax expert to answer these questions. If you have personal experience, just give your recommendations and feedback. This is a good time to start pinning that content for people who are receiving their W-2’s and starting to think about tackling the dreaded yearly tax project. 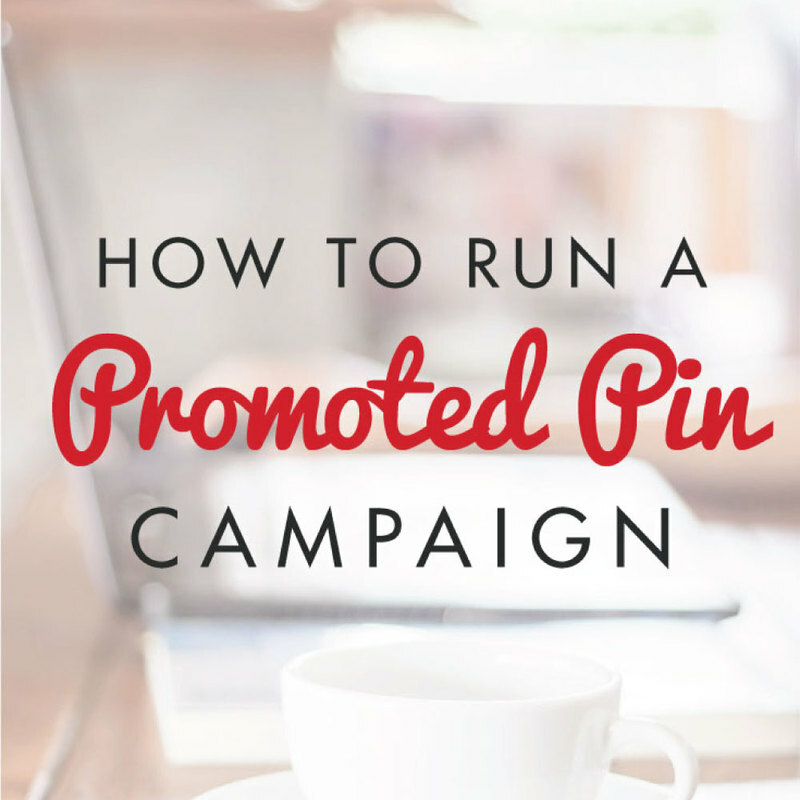 Promoted pins are Pinterest’s version of paid advertising (similar to boosting a post on Facebook). You choose a pin already on circulating on the platform and pay to promote it through their ads manager. And the best part about promoted pins is that after you promote the pin, it doesn’t just go away (like on other platforms). For example, my “How to Clean Up Pinterest Boards” post was originally pinned organically in spring of 2016. I’ve promoted it multiple times since that time. It is still around on the platform organically but gets the occasional bump or “push” via a promoted pin campaign. So, what pins should you be promoting in February? Valentine’s Day – Valentine’s Day is a pretty big deal in February. Content to promote might include: date night ideas, Valentine’s Day decor, kids activities, crafts, and desserts. If you have a really good product or just great Valentines Day content, begin promoting it by the first week of February. I would promote from February 5th to the 13th, the time frame when people are really doing their last-minute prepping and planning for this holiday. Date Night – These ideas can go along with the Valentine’s Day theme but also can stand alone as useful content. A lot of people start looking for great date night ideas to use throughout the year in February. There are some great sites out there that get really creative using round-up posts. If you’re going to create a round-up post, 8-15 posts is the ideal number to use (lots of useful content but not totally overwhelming). You don’t want to have 50 ideas in one spot. Pick a number and use that number consistently in your product suggestions or ideas. Consistency will create traffic. If people see that you have five tips on this and five tips on that, they will keep coming back for more. Mardi Gras – A lot of people will be celebrating Mardi Gras at the end of February. Again, if you already have Mardi Gras content, or maybe a product to offer, promote it throughout the month of February so that people know what you have to offer. Weekend Get Away – During the month of February, a lot of people take weekend getaways (because of the Presidents Day and Valentine’s Day holidays). Not only can you give tips on the best places to spend those weekends breaks, but tips on how to get there, the best snacks to take on planes, and the most comfortable traveling clothes. Pinterest has become known as the place where people find ideas and think, “That is genius! Why didn’t I think of that?” You want to be getting into people’s feed in order to provide that genius idea. So try to create posts that take a variety of different spins on a single idea. Your goal is to create an “ah ha!” moment. Fashion – If you are a fashion content creator, you want to be pinning about coats, boots, and scarves. People in very cold climates and are still in need of tips on how to stay fashionable while bundling up. Let’s say I’m a fashion blogger and I want to highlight the five best pair of boots to wear in February. I would list all those boots on my site and then I would make sure I use affiliate links for each one. The goal then is to pin a pin to Pinterest that will drive traffic back to that post and that my reader will buy a pair of those boots which gives me a small commission through that affiliate link. So what comes after the 45-day window that we’re talking about? That’ll be taking us into April, May, and even June. You might not typically use an editorial calendar for the whole year. but it is a super helpful way of planning for what’s coming. Easter, Memorial Day, graduations, Mother’s Day, and Father’s Day are all coming up in the latter part of spring. Start creating great content around those events. Create a Google doc and use it to jot down your ideas (we are crazy about Google Drive here at Simple Pin!). Use those folders and sub-folders to clean up and organize your documents. Create that editorial calendar and that will help you have a place to drop your ideas. Hashtags – Much to our surprise, we woke up one day and found that Pinterest was now allowing hashtags on the platform (even encouraging us to use them). Hashtags have their own feed–the chronological hashtag feed. When you pin something with a hashtag, it goes to the feed and has a time-stamp on it. Pinterest has said that you can use up to 20 hashtags but I don’t recommend that. Three to four hashtags will do the job just fine without being obnoxious. Be sure to use hashtags that are very specific to your content topic (you can even use a branded hashtag). You don’t need to make a mad dash to update your old content, just start with incorporating them into pin descriptions going forward. I recommend using the Tasty Pins plugin to make the process as easy as possible (you can read more about why I love Tasty Pins here). My action tip for this month is to look at the interests of your audience using Pinterest analytics. If you plan to do any type of business (real estate, product-based business or a blog), you need to have a business account on Pinterest to get access to analytics tools. Taking a close look at your analytics will give you more information about what your audience is interested in. It could be something within your niche that you just hadn’t thought of before. When you log into your Pinterest account and check out your analytics, tune into the “people you reach” section. This will show you demographics that are broken up into all of the various audiences who pin your pins (as well as your followers). Paying attention to all the audiences is really important. For example, my audiences’ interests include DIY home decor, hairstyles, desserts, inspirational quotes, etc. What’s interesting about this is that I talk about Pinterest marketing. A lot of this funnels into how I designed my Pinterest boards. If I click on the DIY home decor box, it’ll pop open a new tab and send me to pinterest.com/topics and then DIY home decor. And then I can see that 67 million people follow DIY home decor. This really connects you with what’s happening on Pinterest and what people are interested in. Keep clicking around and find out what pins and topics are really popular. It will serve as a springboard for new boards to create on your profile and new topics to pin about. There is a lot of information that is really valuable to your content strategy within Pinterest analytics. Remember that Pinterest marketing is NOT about throwing darts at the wall. It’s knowing your person and knowing what they’re searching for. That will give you content ideas to encourage them to click through to your site. Take some time this week and plan out what you will pin in February and then do some content planning for the spring going forward. Investing the time in planning will get that great content out there that will lead to people engaging with you and your site. It’s always a beautiful feeling to know Pinterest pinners can pin to their pin boards anytime of the day. Content is what drives the internet. And with that said. anyone can use Pinterest to find something constructive to pin and make a full-time business out of it. This is the beauty of social media marketing. Thanks for the reminders. I’ll get on Mardi Gras and St Patties Day! I don’t have any spring break related content, but I wonder if any tropical recipes would do well. I’m also going to be getting all my fish pins going again for Lent.